For exceptional hardwood floor repair in Portland, OR, you want Wall 2 Wall Hardwood Floors. Hardwood floors are more than just flooring, they’re an investment. These long lasting, ecologically friendly, beautiful floors can last the life of your home. Sometimes they require care though. Hardwood floors in Portland, OR are durable, but they aren’t invincible. Natural wear and tear as well as various damage types require professional hardwood floor repair. Our professional Portland, OR based hardwood technicians are skilled artisans. No matter what kind of damage your floor has endured, we have the skills and experience necessary to bring it back to life. Hardwood floor repair falls into several categories, all of which require unique workmanship. Many common causes require hardwood floor repair. Some are purely cosmetic, others lead to much greater complications if left untreated. 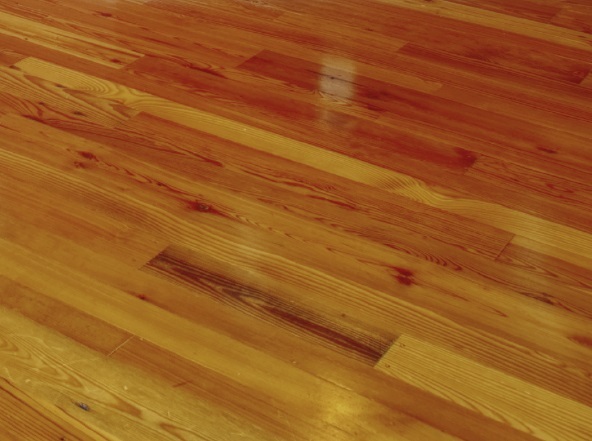 Hardwood floor burns, waters stains, stains, acid damage, scratches – There are many kinds of hardwood floor damage that can set in quickly if not dealt with. Burns and stains are incredibly common, and ammonia based products begin to eat through your flooring very quickly. Pet damage can be caused by uric acid from an accident or claws. Our hardwood floor repair in Portland, OR addresses each one of these. Many of these can soak through carpet, but can be repaired with a combination of re-finishing and advanced techniques. Tried and true hardwood floor repair methods, knowledgeable technicians, and incredible skills can have your floor looking like new. Warping, buckling, cupping – These can be much more noticeable, actually causing the boards to rot more quickly. Subtle moisture differences between the sides of a board are cause for concern. Without hardwood floor repair from Wall 2 Wall Hardwood Floors in Portland, OR, these continue to get worse. They can cause tripping hazards, or if left long enough, give way without warning. It’s always best to have hardwood problems in Portland repaired as soon as possible, especially when they pose a safety risk. Our technicians have worked with every wood type with all types of board damage. We can repair hardwood floors in Portland, OR, keeping you safe and sound. Squeaks, gaps – Board squeaking can indicate a number of things. Sometimes it’s due to poor placement or wood quality. Often times when wood expands and contracts it develops squeaks as well. These can create gaps. The largest concern is moisture damage though. Squeaks as well as gaps can also be indicative of Portland, OR wood rot. Professional hardwood floor repair is imperative. We can perform full board replacements, sanding and finishing. Once our technicians are finished you won’t remember where the damage was to begin with. Water, mold – Water damage can lead to mold. Both of these are progressive. When left alone the problem continues to grow. This acceleration results in larger repair costs and increased damages. Our Portland hardwood floor repair services include water damage. The sooner you contact us, the sooner your problem gets fixed correctly. That means less damages and a lower cost. For all your hardwood floor repair needs in Portland, OR Call (503) 465-1593 or Contact Wall 2 Wall Hardwood Floors today.